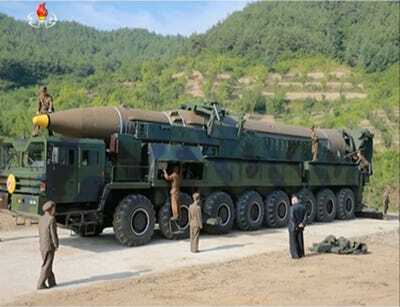 KCNA via ReutersKim Jong Un stands near North Korea’s Hwasong-14 ICBM. North Korea demonstrated its ability to reach the continental US with a nuclear-capable ballistic missile on July 4, but close analysis of launch footage may point to another dangerous technological development. 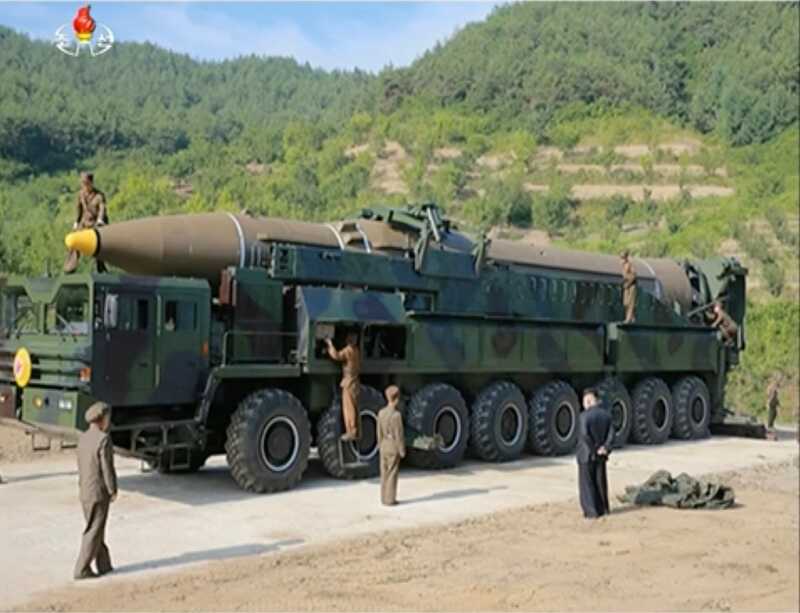 Unlike other North Korean missiles, the intercontinental-range Hwasong-14 missile uses a “shroud,” or a hollow cover instead of a more solid nosecone, researchers have discovered. ICBMs generally use shrouds if one is “planning on launching multiple reentry vehicles or added countermeasures,” David Schmerler, a research associate at the James Martin Center for Nonproliferation Studies told Business Insider. Shrouds usually indicate that a missile has multiple, independent nukes for a payload, according to Schermler. A missile with multiple nuclear warheads can not only do more damage to its target, but also pose a greater challenge for missile defences. While Schmerler said there is “no indication” that North Korea has developed technology to miniaturize warheads such that it could fit multiple nukes in a single missile, it could have installed countermeasures in the shroud that would render US defences all but useless. A typical countermeasure, like a handful of mylar balloons that inflate with one of them surrounding the warhead, greatly limit missile defences’ ability to deter or defeat threats. When a missile interceptor heads towards the warhead, a crowd of balloons release, making it difficult for the interceptor to find the warhead. No North Korea statements have announced work on countermeasures, according to Schmerler, but the missile’s structure lends itself to countermeasures. “If you want to fit countermeasures, penetration aides, or chaff, you would need more space” in the tip of the warhead, said Schmerler. In the clip below, watch for the shroud dropping off the missile after the first stage, and then the interstage of the missile drop off.